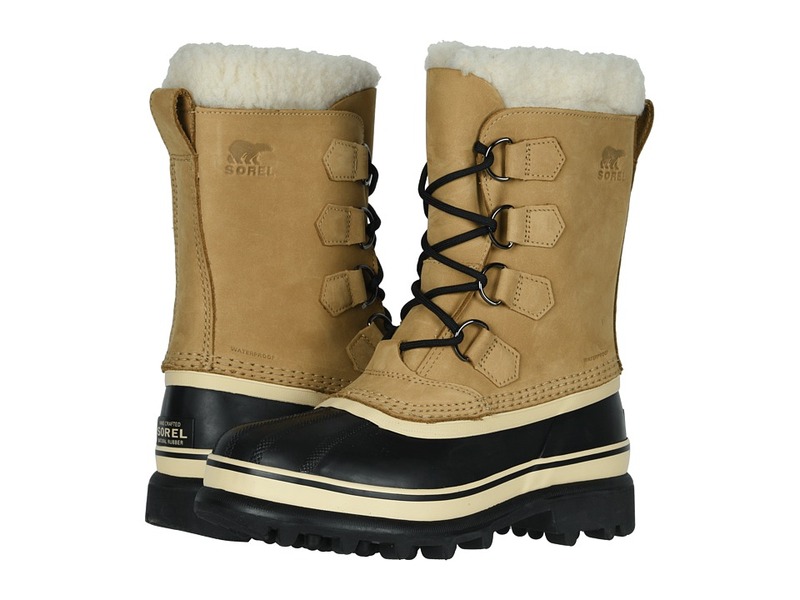 Roam the winter scene in total style and complete comfort when you wear the SOREL Caribou winter boot! Waterproof nubuck leather upper. Seam-sealed waterproof construction keeps out the wet elements for a drier, more comfortable foot environment. Removable 9mm ThermoPlus felt InnerBoot provides superb warmth, moisture transfer, comfort, and durability. Sherpa Pile snow cuff for added warmth. 2.5mm bonded felt frost plug in the shell to provide an extra layer of insulation and warmth. The frost plug is a 2.5 mm piece of EVA that is in the heel and forefoot. Handcrafted, waterproof, vulcanized rubber shell. 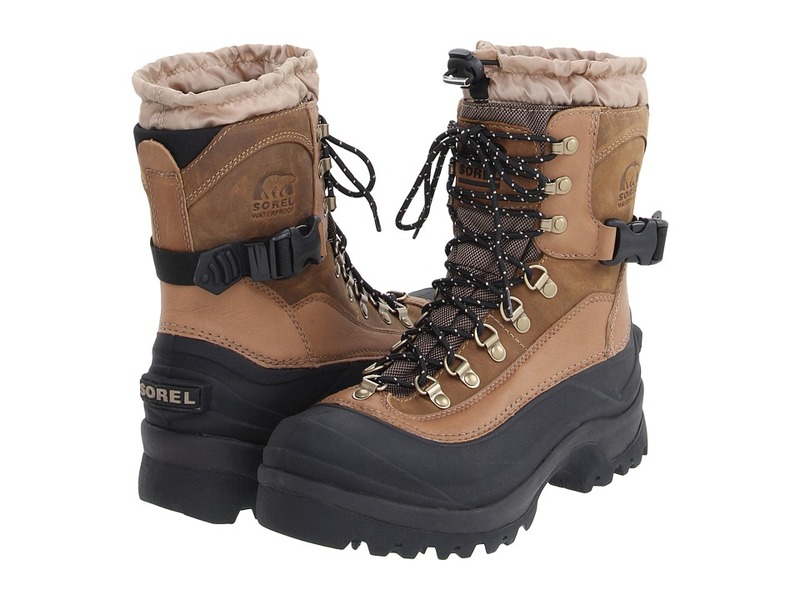 Sorel aero-trac non-loading outsole for excellent traction and grip on snowy terrain. Sorel Rated: -40&amp#176F/-40&amp#176C. Imported. Measurements: Heel Height: 1 in Weight: 2 lbs 5 oz Shaft: 9 in Product measurements were taken using size 6, width B - Medium. Please note that measurements may vary by size. Weight of footwear is based on single item, not the pair. Seam-sealed, waterproof nubuck and suede leather. Built-in gaiter with barrel lock closure. Achilles adjustment strap. 400g Thinsulate Ultra insulation. Removable 9mm EVA comfort footbed. EVA midsole inserts. Injection molded, waterproof thermal rubber shell. Rubber multi-directional lug outsole. Sorel Rated: -40&amp#176F / -40&amp#176C (yup, those temp conversions are correct.) Imported. Measurements: Heel Height: 1 1 2 in Weight: 2 lbs 1 oz Circumference: 15 in Shaft: 8 1 2 in Platform Height: 1 in Product measurements were taken using size 9, width D - Medium. Please note that measurements may vary by size. Weight of footwear is based on single item, not the pair. Water-resistant padded nylon upper. Gusseted tongue to help keep out slush and snow. Padded Sherpa Pile fleece snow cuff. 200g Thinsulate insulation. EVA comfort footbed. Built on a women~s-specific last for superior fit and comfort. Injection molded thermal rubber shell and outsole. Traction enhancing multi-directional thermal rubber lug outsole. Temperature rated: -25&amp#176F/-32&amp#176C. Measurements: Heel Height: 1 1 4 in Weight: 1 lb 5 oz Circumference: 13 in Shaft: 8 in Product measurements were taken using size 6, width D - Wide. Please note that measurements may vary by size. Weight of footwear is based on single item, not the pair. 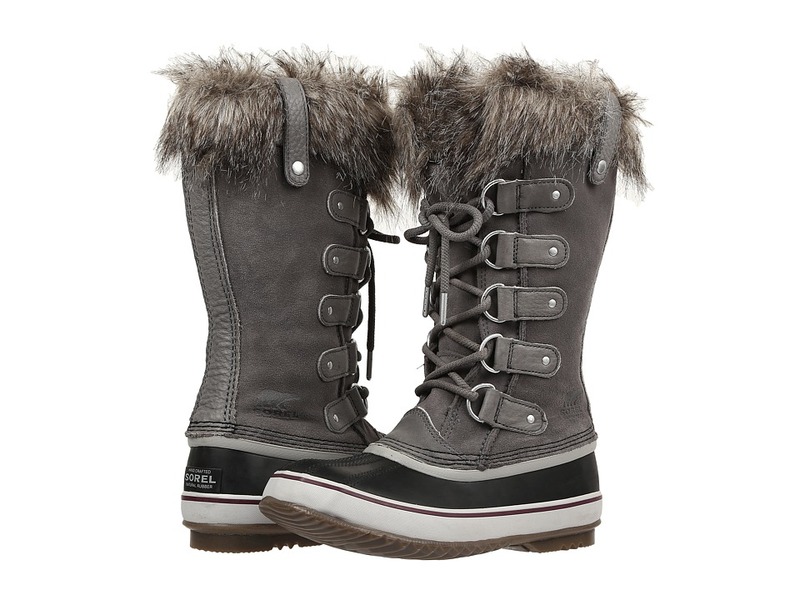 When it is time to enjoy some winter games, the Sorel Snow Angel Lace boot is sure to keep you warm and cozy all day long! Waterproof suede leather upper. Injection molded waterproof thermal rubber shell. 200g Thinsulate insulation protects against the cold elements for a warmer foot environment. Full length faux fur lining for added warmth. Removable EVA comfort footbed provides cushioned underfoot support. Multidirectional lug outsole for enhanced traction. Temperature rating: -25&amp#176F/-32&amp#176C. Imported. Measurements: Heel Height: 1 1 2 in Weight: 1 lb 5 oz Circumference: 14 1 2 in Shaft: 6 3 4 in Platform Height: 3 4 in Product measurements were taken using size 7.5, width B - Medium. Please note that measurements may vary by size. Weight of footwear is based on single item, not the pair. Seam-sealed, waterproof leather. Removable 9mm ThermoPlus felt InnerBoot. Acrylic/wool blend snow cuff. Handcrafted, waterproof vulcanized rubber shell. 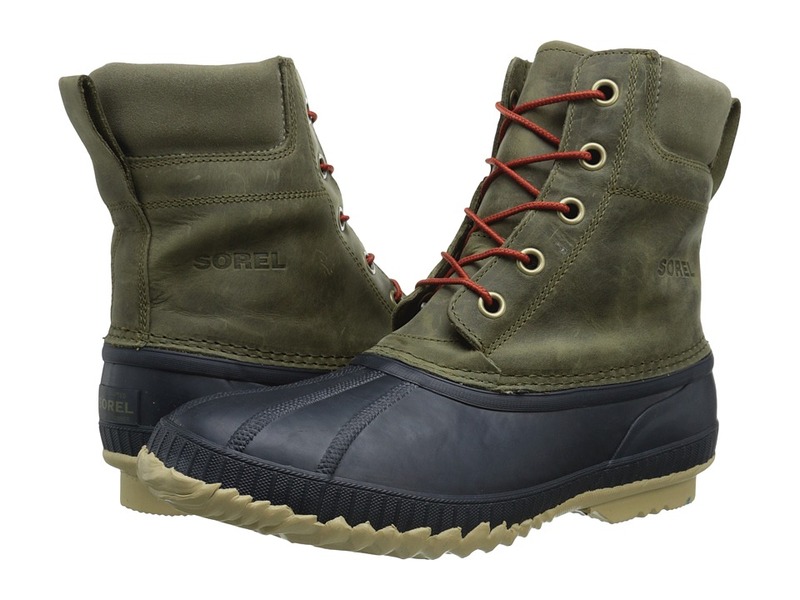 Sorel AeroTrac non-loading natural rubber outsole. Temperature rating: -40&amp#176/-40&amp#176. Weight: 2lbs. 7oz. Imported. Measurements: Heel Height: 1 1 4 in Weight: 2 lbs 11 oz Shaft: 10 1 2 in Product measurements were taken using size 11, width D - Medium. Please note that measurements may vary by size. Weight of footwear is based on single item, not the pair. Seam-sealed, waterproof full-grain embossed leather. Removable 9mm washable, recycled felt InnerBoot. 2.5mm bonded felt frost plug. Acrylic/wool blend snow cuff. Handcrafted and waterproof vulcanized rubber shell a herringbone outsole. Temperature rated: -40&amp#176F/-40&amp#176C. Measurements: Weight: 2 lbs 4 oz Circumference: 15 1 2 in Shaft: 10 1 2 in Product measurements were taken using size 9, width D - Medium. Please note that measurements may vary by size. Weight of footwear is based on single item, not the pair. 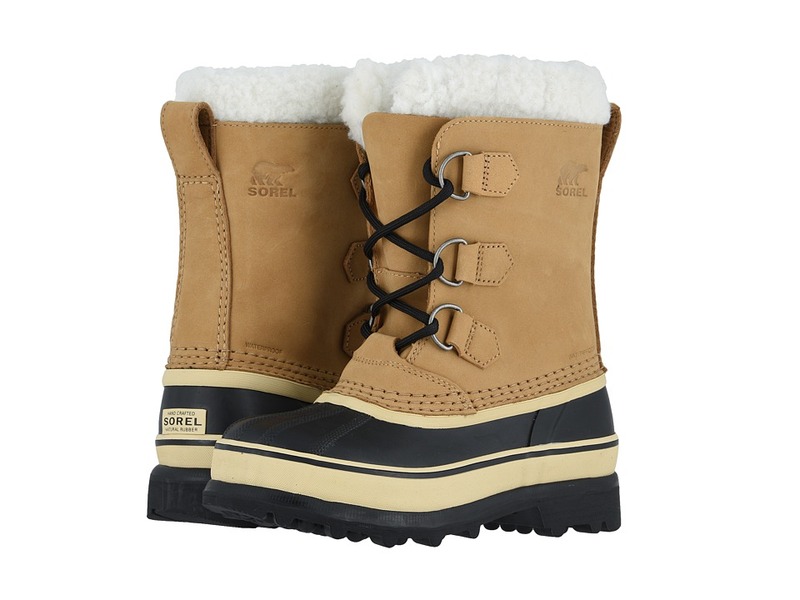 Stay warm this winter with the reliable comfort and style of the Sorel Joan of Artic boot! Waterproof leather and suede upper. Faux-fur trim at collar for added warmth. Seam-sealed waterproof construction keeps out the wet elements for a drier foot environment. Removable 6 mm washable, recycled felt InnerBoot. Lightly cushioned footbed for added comfort and support. 2.5 mm bonded felt frost plug. Handcrafted, waterproof vulcanized rubber shell. Herringbone rubber outsole provides excellent traction. Temperature rating: -25&amp#176F/-32&amp#176C. Imported. Measurements: Heel Height: 1 1 2 in Weight: 2 lbs Shaft: 12 in Platform Height: 1 in Product measurements were taken using size 8.5, width B - Medium. Please note that measurements may vary by size. Weight of footwear is based on a single item, not a pair. 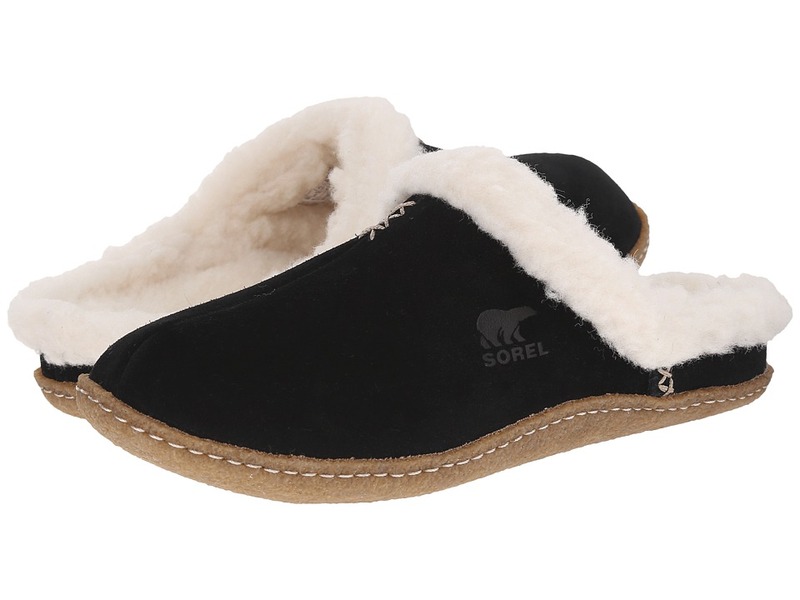 The Sorel Nakiska slipper has such a soft, luxurious feel, it~ll make your feet smile. Soft suede upper. Easy slip-on style. Wool/acrylic blend lining. Removable molded EVA comfort footbed. Natural rubber outsole. Imported. Measurements: Weight: 8 oz Product measurements were taken using size 8, width B - Medium. Please note that measurements may vary by size. Weight of footwear is based on single item, not the pair. 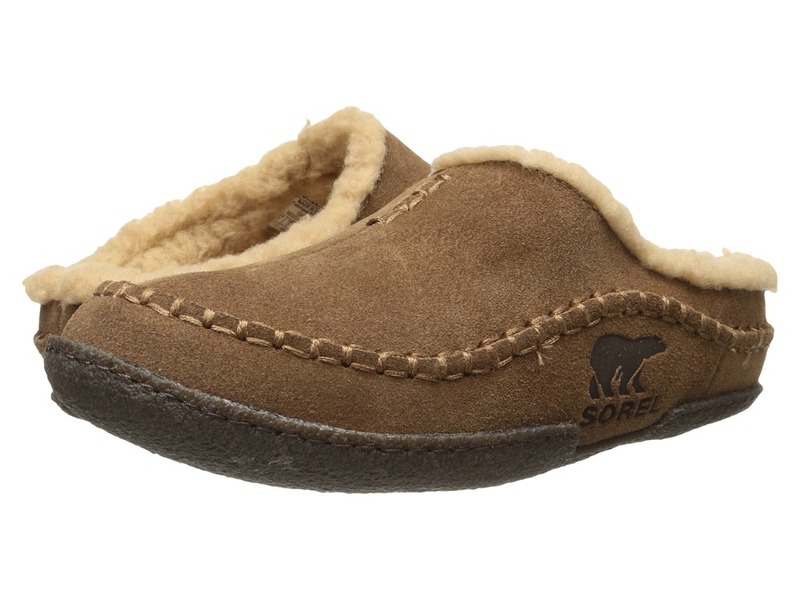 Slip this little birdie on and slip into Sorel~s comfort and warmth. Soft, supple suede upper. Lined with a blend of plush, warm wool and acrylic. Supportive, removable molded EVA footbed. 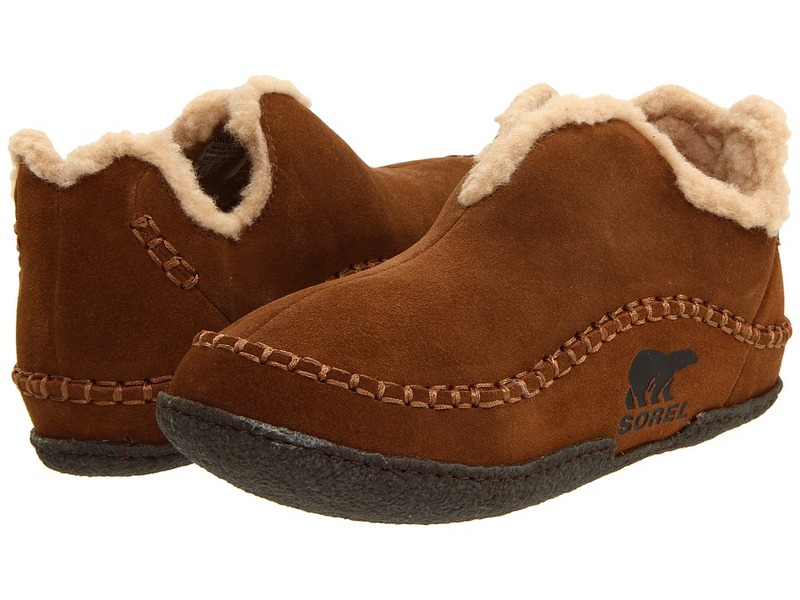 The natural rubber outsole allows you to run out of the house in these cozy slippers when you~re on the move. Measurements: Weight: 9 oz Product measurements were taken using size 8, width D - Medium. Please note that measurements may vary by size. Weight of footwear is based on single item, not the pair. The &amp#8216Manawan~ slipper will make your feet smile and your soles sing a song of comfort and warmth. Soft, supple suede upper. Lined with a blend of plush, warm wool and acrylic. Supportive, removable molded EVA footbed. The natural rubber outsole allows you to run out of the house in these cozy slippers when you~re on the move. Measurements: Weight: 10.8 oz Product measurements were taken using size 8, width D - Medium. Please note that measurements may vary by size. Weight of footwear is based on single item, not the pair. For the consumer who prefers the performance of a wool liner and durable full grain leather upper, Sorel takes a few cues from its past and presents the Caribou Wool. Seam-sealed waterproof construction with full grain leather upper. Features a Sherpa Pile faux fur snow cuff for added warmth. Rustproof hardware. Knit wool snow cuff. Removable 9mm felt wool InnerBoot. 2.5mm bonded felt frost plug used underfoot to increase the thermal barrier between you and the cold ground. 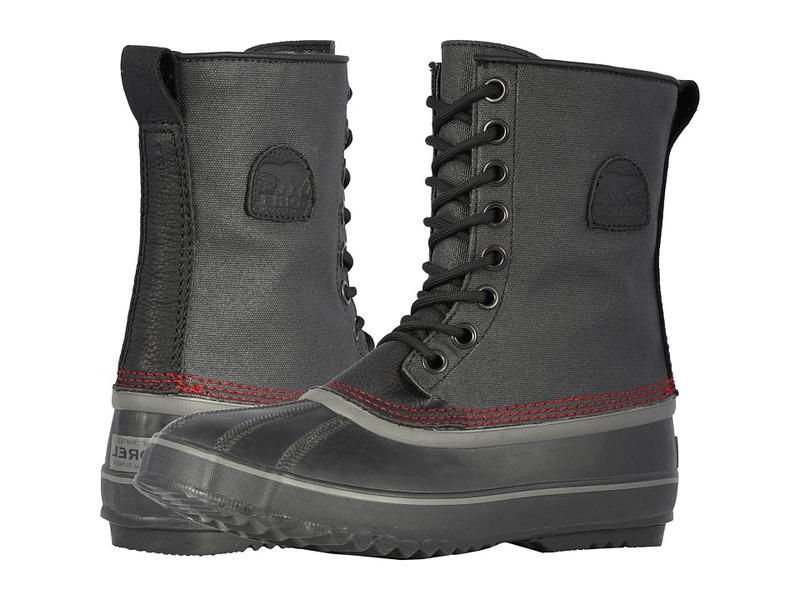 Handcrafted waterproof vulcanized rubber shell with Sorel AeroTrac non-loading outsole. Temperature Rating: -40&amp#176 F/-40&amp#176 C Imported. Measurements: Heel Height: 1 in Weight: 2 lbs 14 oz Circumference: 17 in Shaft: 10 in Product measurements were taken using size 9, width D - Medium. Please note that measurements may vary by size. Weight of footwear is based on single item, not the pair. 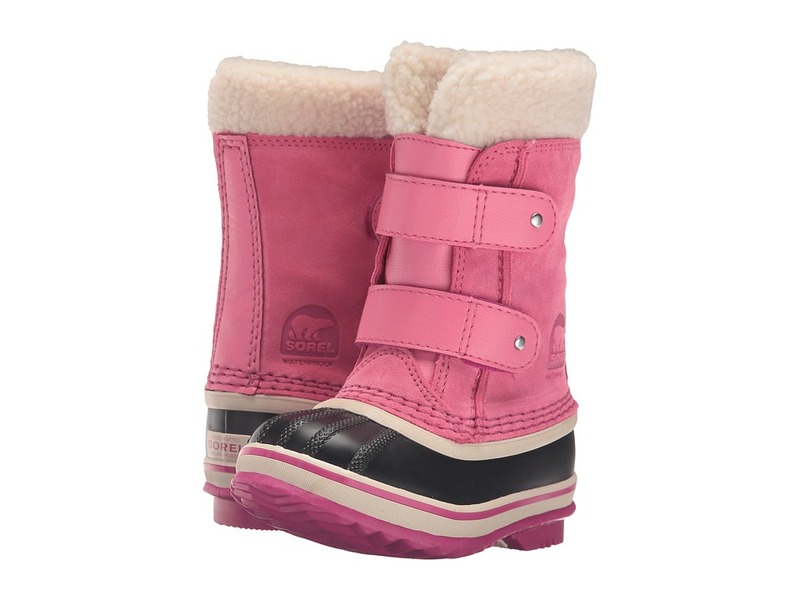 Get set for an afternoon of snow-filled fun in the warm and comfy Caribou boot from Sorel Kids. Waterproof nubuck leather upper. Seam-sealed waterproof construction locks water out and keeps in the warmth. Embossed logo stamp at sides. Lace-up closure with D-ring eyelets. Removable 9mm ThermoPlus felt InnerBoot. Sherpa Pile snow cuff. 2.5mm bonded felt frost plug. Handcrafted waterproof vulcanized rubber shell. Sorel AeroTrac non-loading outsole with nub grips. Lost your liner or need a new one? Find one here! Measurements: Weight: 1 lb 11 oz Circumference: 15 in Shaft: 8 1 2 in Product measurements were taken using size 2 Little Kid, width M. Please note that measurements may vary by size. Weight of footwear is based on single item, not the pair. Treat your feet! Pick up these old-school 1964 Premium boots by Sorel. Ready for all weather conditions, the ~1964 Premium~ features seam-sealed and waterproof material to keep your feet comfortably warm and dry. Waxed canvas upper with a handcrafted rubber shell lined with a 9mm recycled felt InnerBoot for a temperature rating down to -40&amp#176 below zero. Traditional lacing system ensures snug and secure fit. Fully removable Innerboot can be taken off and washed to alleviate odor and ensure your feet smell fresh. Non-slip herringbone outsole provide plenty of grip and traction in the slickest of surfaces. Imported. Measurements: Heel Height: 1 2 in Weight: 1 lb 13 oz Shaft: 8 1 2 in Product measurements were taken using size 9, width D - Medium. Please note that measurements may vary by size. Weight of footwear is based on a single item, not a pair. 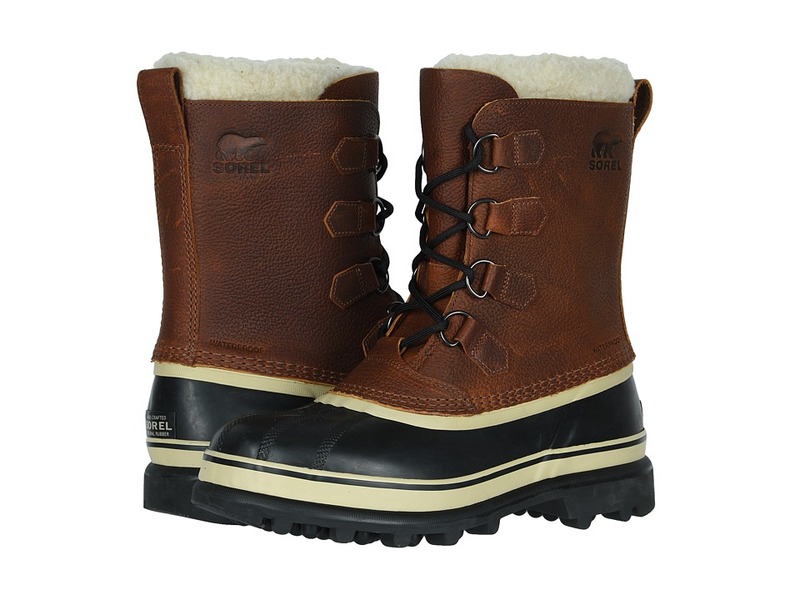 Roll your toes into the convenient and sleek ~Nakiska~ by Sorel. 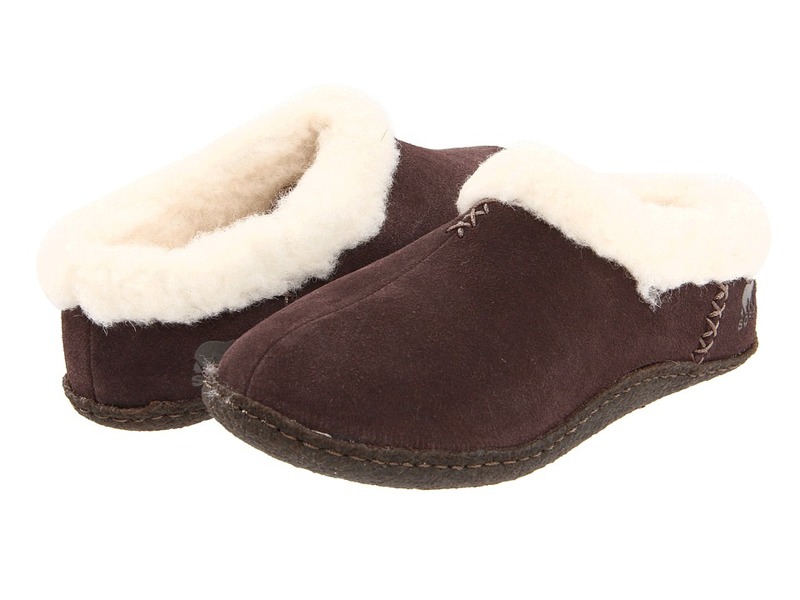 The classic ~Nakiska~ suede slipper is lined with an acrylic/wool blend that is warm and soft. Removable EVA midsole provides added comfort and natural arch support. Natural rubber outsole that provides traction and security. Imported. Measurements: Weight: 7 oz Product measurements were taken using size 8, width B - Medium. Please note that measurements may vary by size. Weight of footwear is based on a single item, not a pair. 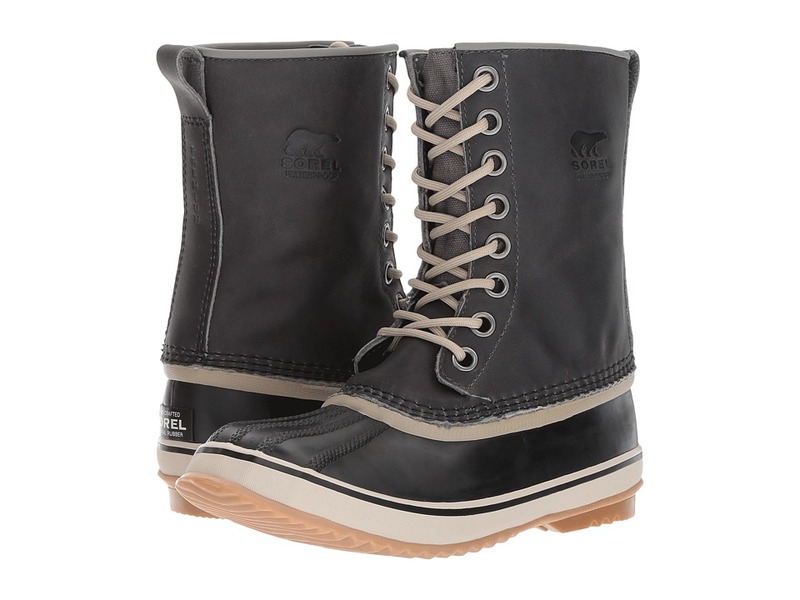 Old school look with a new technology feel, the 1964 Premium CVS by Sorel reinvents the classic boot with the protection that you need for the rugged outdoors. Seam-sealed waterproof construction gives you the protection from the elements that you need. Waxed canvas upper with leather trim on collar and back provides durability and all day comfort. 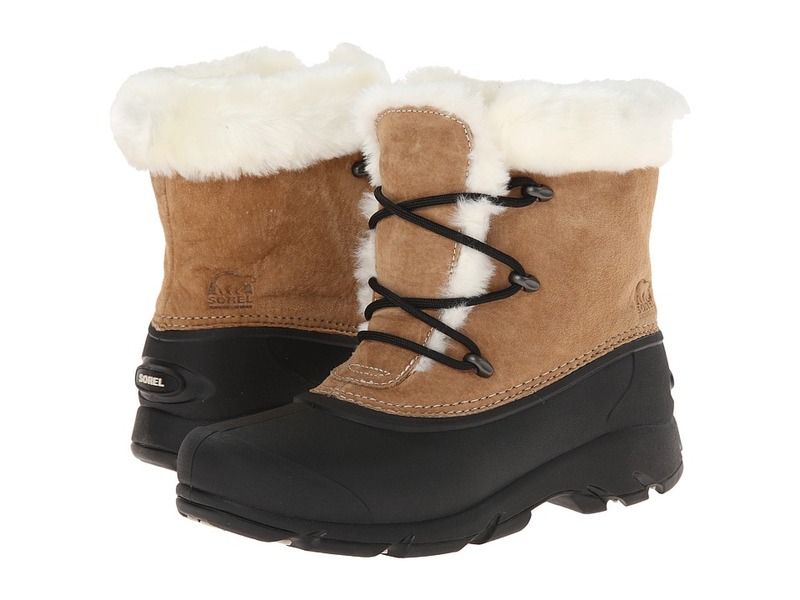 Removable 9mm recycled felt InnerBoot gives you the warmth and versatility that you require. Waterproof vulcanized rubber shell gives you added protection from moisture. Temperature rating: -25&amp#176 F/ -32&amp#176 C. Features a low-profile herringbone outsole that provides plenty of grip when the going gets slick. Imported. Measurements: Weight: 1 lb 9 oz Circumference: 13 1 2 in Shaft: 8 in Product measurements were taken using size 8, width B - Medium. Please note that measurements may vary by size. Weight of footwear is based on a single item, not a pair. 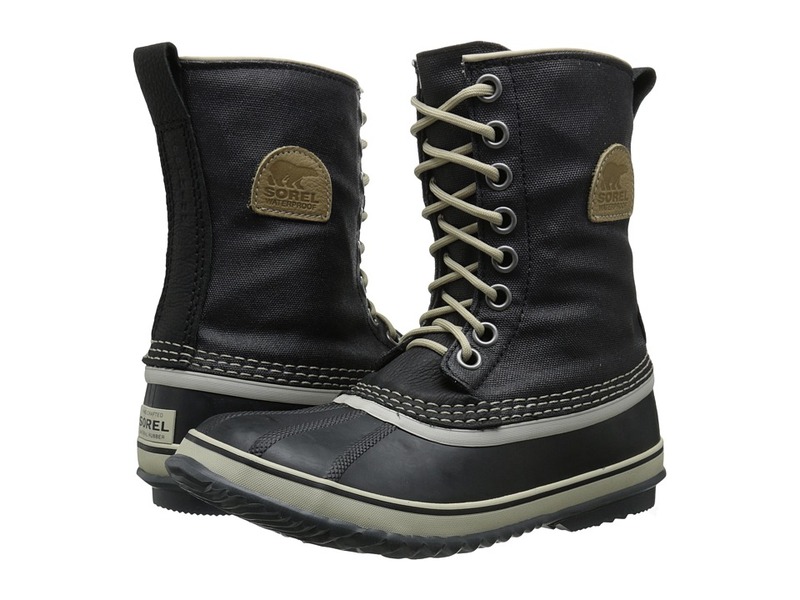 Classic and durable, the 1964 Premium LTR by Sorel is a great mixture of old fashion styling and new age technology. Seam-sealed waterproof construction gives you the protection from the elements that you need. Waxed leather upper provides durability and all day comfort. 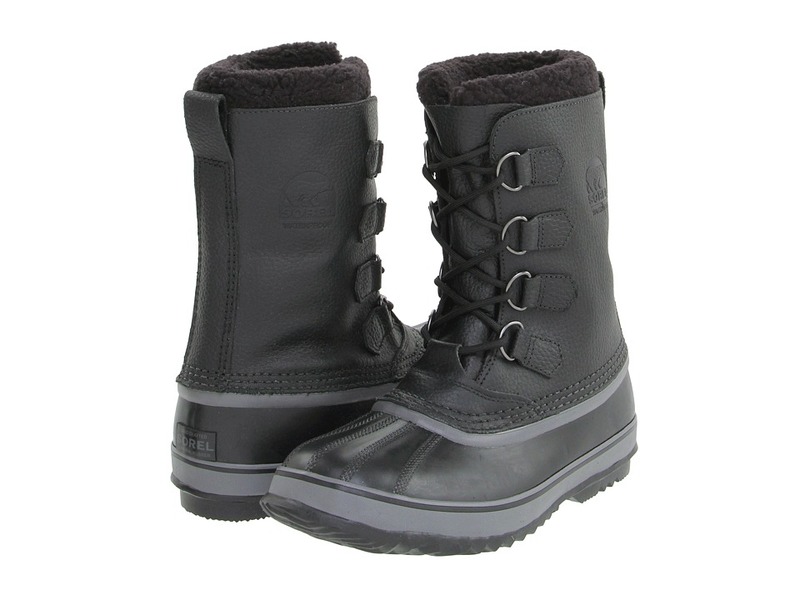 Removable 9mm recycled felt InnerBoot gives you the warmth and versatility that you require. Waterproof vulcanized rubber shell gives you added protection from moisture. Traditional lacing system ensures a snug and secure fit. Temperature rating: -25&amp#176 F/ -32&amp#176 C. Features a low-profile herringbone outsole that provides plenty of grip when the going gets slick. Imported. Measurements: Weight: 1 lb 10 oz Circumference: 13 1 2 in Shaft: 9 in Product measurements were taken using size 8, width B - Medium. Please note that measurements may vary by size. Weight of footwear is based on a single item, not a pair. When the work day is long, you need the comfort and support of the Sorel Cheyanne Lace Full Grain boot to get you through it. Built to perform like a classic farm work boot. Lace-up boot with waterproof full-grain leather upper. Seam-sealed waterproof construction keeps the rain and other elements out so your feet stay dry. 200g Thinsulate insulation for excellent protection against the cold. 2.5mm bonded felt frost plug. Removable EVA comfort footbed provides great cushion for your foot. Handcrafted waterproof vulcanized rubber shell for long-lasting wear. Rubber outsole with herringbone traction design. Sorel rating: -25&amp#176F. Measurements: Heel Height: 3 4 in Weight: 1 lb 12 oz Circumference: 13 in Shaft: 8 in Product measurements were taken using size 12, width D - Medium. Please note that measurements may vary by size. Weight of footwear is based on a single item, not a pair. 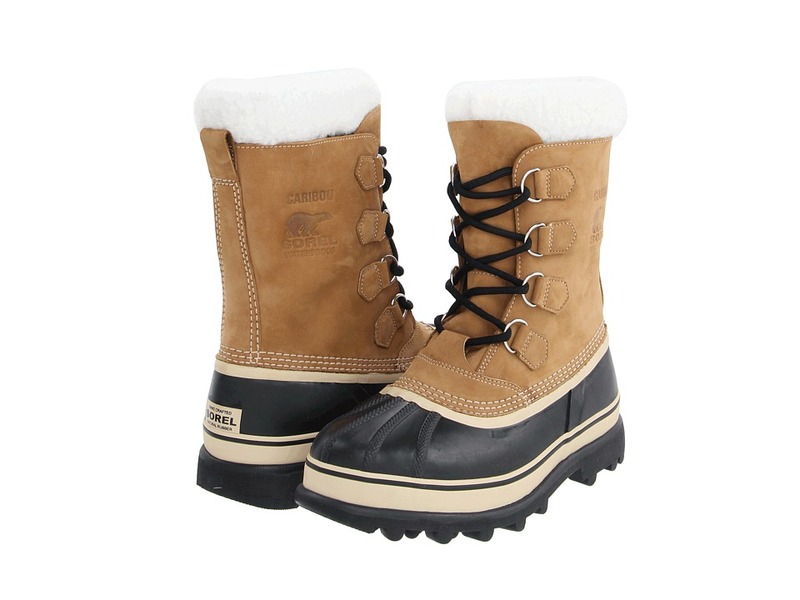 Staying cozy on those early morning walks will be a lot easier with the 1964 Pac Strap boot from Sorel. Waterproof suede leather upper. Seam-sealed waterproof construction. Two hook-and-loop straps allow for easy on and off. 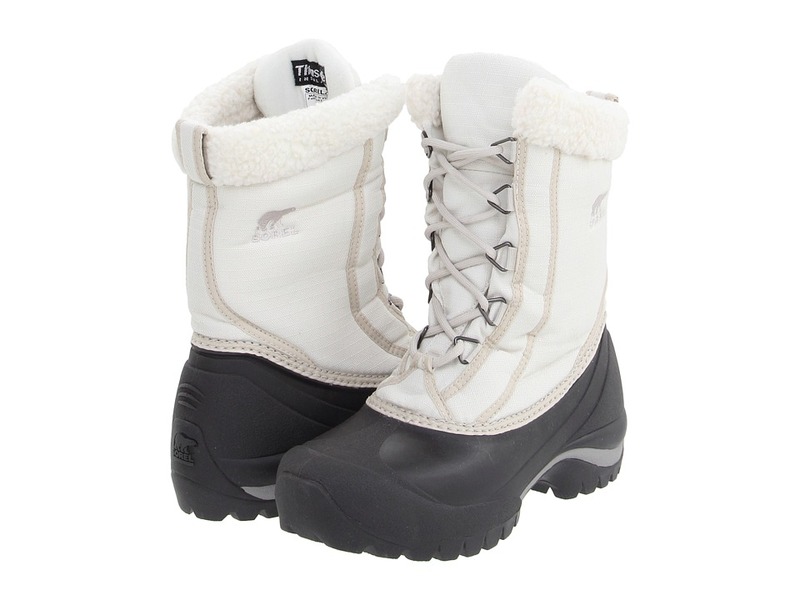 Removable 9mm recycled felt inner boot with Sherpa Pile snow cuff help keep the foot warm and cozy. Lightly cushioned footbed for all-day comfort. 2.5mm bonded felt frost plug. Handcrafted waterproof vulcanized rubber shell with herringbone outsole. Measurements: Heel Height: 3 4 in Weight: 13 oz Shaft: 7 1 2 in Product measurements were taken using size 8 Toddler, width M. Please note that measurements may vary by size. Weight of footwear is based on a single item, not a pair.